Me parece una aplicación sencilla de usar y muy rápida para diseñar circuitos de Arduino. como fazer funcionar o circuito que a pessoa fez no arduino? Please tell me where to find the program. It's really awesome. y donde bajo el programa??? Please tell me where I can find this program. Runs in PC or Mac? 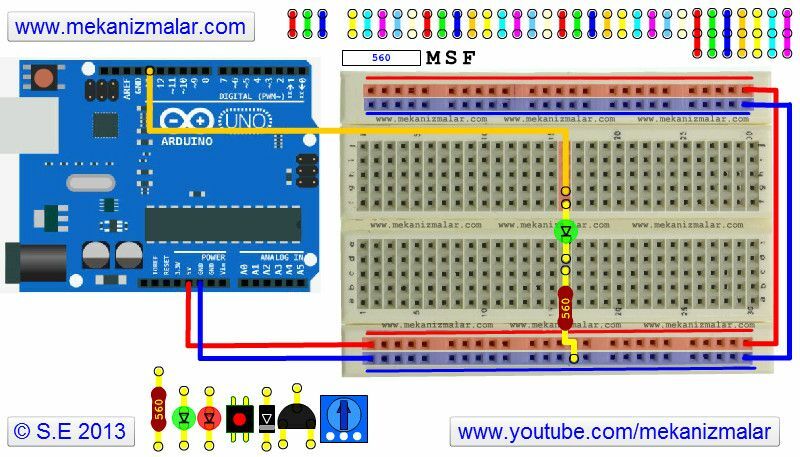 It is totally a disappointment trying to find the Arduino Circuit Design in this web site. They should make it easy to find it, instead of going all over the place chasing for this program. Please help. I am doing electronics course and I need to use the program to build a bread board circuits to understand more about electronics circuits.